Switzerland is full of contrasts where traditions meet modernity. 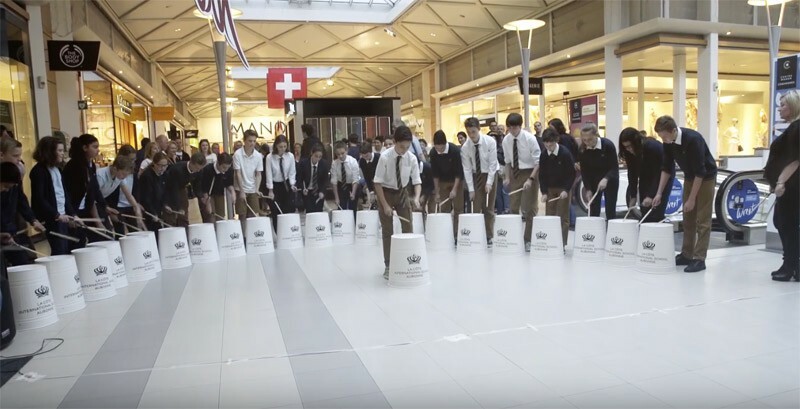 This week, the students of the prestigious La Cote International School created a surprising act in one of Switzerland shopping malls. 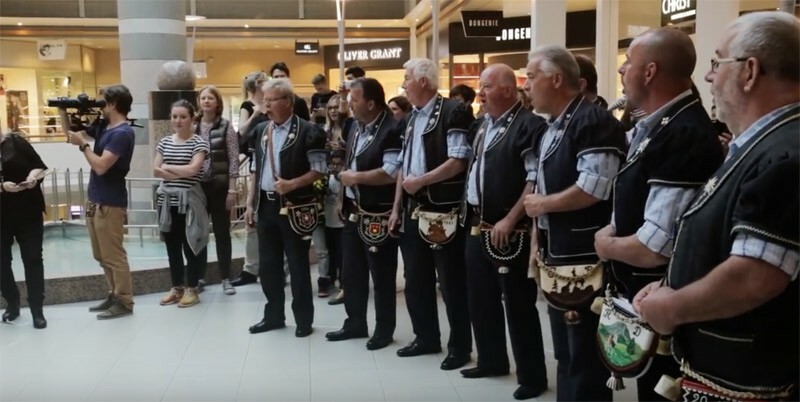 By partnering with a traditional Swiss men’s choir they performed a flash mob allying Swiss traditions and French Pop. The video is quite interesting as we can see the 2 worlds collision and a very interesting synergy. In the spirit of a flashmob, The students from La Cote International school and the Swiss Choir of Candy interpreted the French pop song “L’avenir” by Louane. The act took place at the Centre Commercial Manor Chavannes. 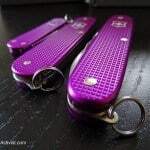 This is our Swiss blog of the month. In this video we see one of the strong traditions in the Swiss region of Gruyere: the Traditional Choirs also called “Choeur des Armaillis de la Gruyère”. This tradition of male choirs started in Switzerland in 1955 in the green and lovely region of La Gruyère. For this video, the students of La Cote International School partnered with a male traditional choir called “Choeur de Candy”. This Choir was initially founded by André Pittet from a farm called Candy. At the beginning, they were just a couple of friends meeting from time to time to sing for the pleasure of singing. 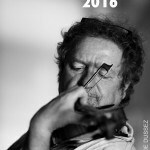 Then, an idea came: why not build a quatuor then a triple quatuor and propose traditional songs that could even represent Switzerland in several International competitions? And the Candy Choir was born. The structure of the group is split in Tenors, Barytons and basses. The religious and secular repertoire of the Candy choir crosses all over the world, but especially the rich cultural heritage of the region that feeds the soul of its singers. Regional composers like Abbot Bovet, Gesseney-Rappo, Moret or Kolly offers a huge choice of works for male voices. You will understand easily that living at the foot of the mountains, Candy’s choir could only sing this beautiful region of Gruyère. 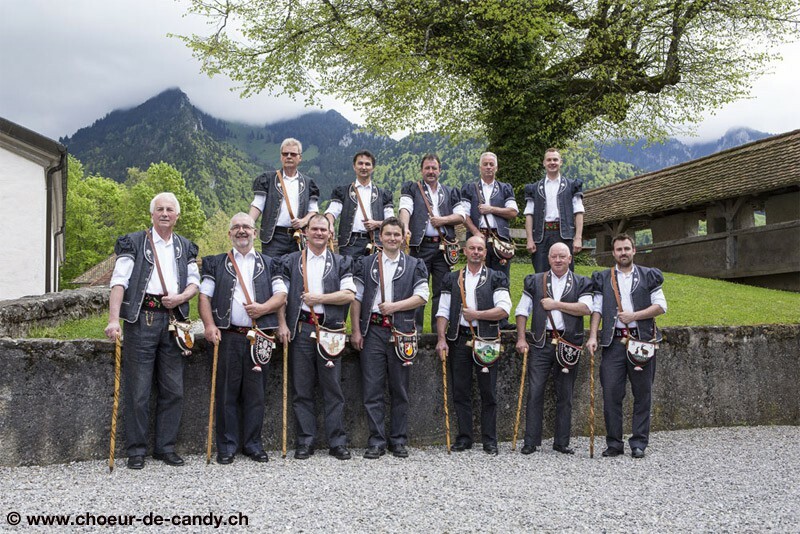 You can discover more about them by visiting their official website: http://www.choeur-de-candy.ch (in French). 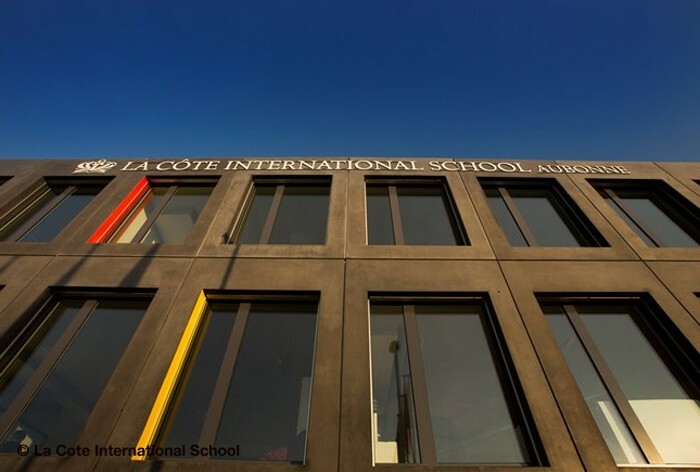 La Cote International School, a Swiss reference. “Our students are nurtured to become enthusiastic learners with principles and empathy. They are taught to become adaptable, responsible, tolerant and sensitive citizens, comfortable both as leaders and as part of a team. We work with school staff and local enterprises to establish an extensive range of after-school clubs, both on campus and in the community itself. As we can see, it does not require a lot of work and complex implementation to be creative and to create exceptional moments. 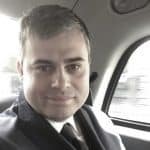 Info sourced at La Cote International School official communication. All content is copyrighted with no reproduction rights available. Images are for illustration purposes only.